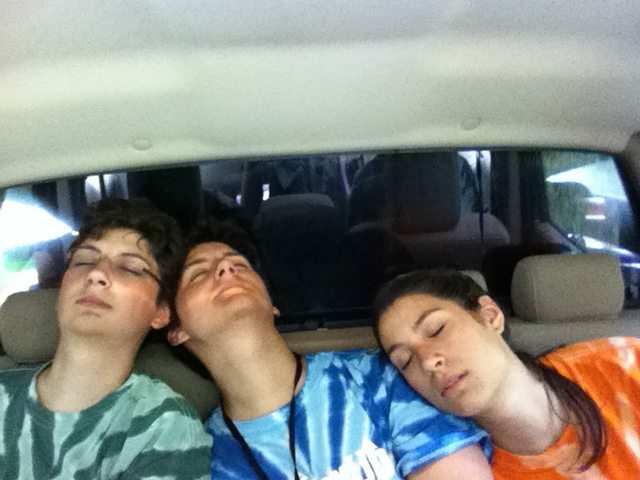 Well... We made it through our first day at Creation 2012. I'll show you an album with a short description about what happened today. This is a picture we took while we were waiting to play. 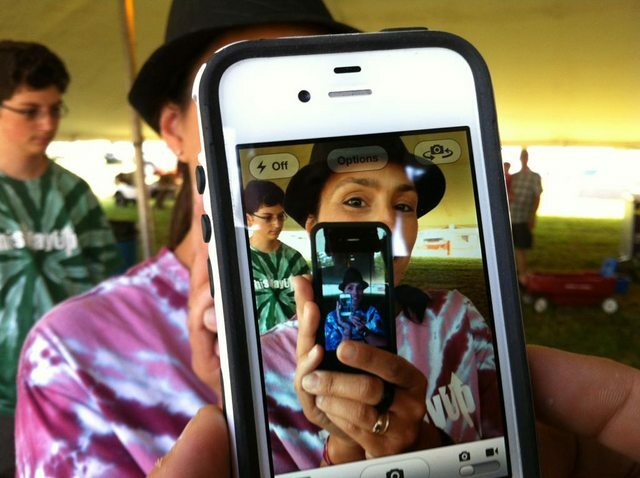 I call it a picture of an iPhone showing my mom holding an iPhone showing a picture of my mom holding an iPhone holding a picture of my mom. Also, Carson is in there. This woman is wonderful! 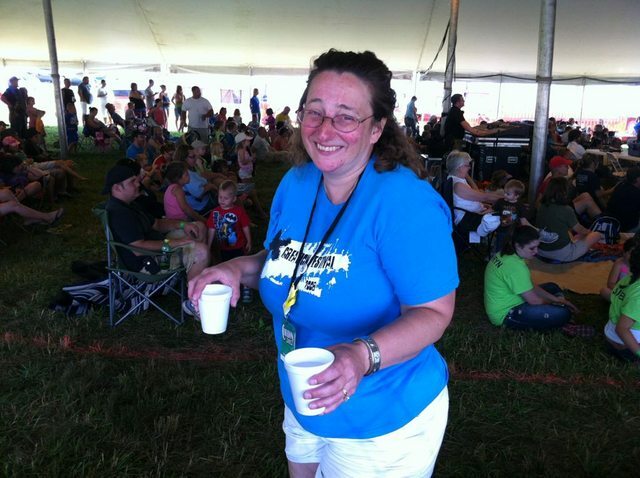 She came up during our gig at the kids tent to give us water. It was refreshing! Then she gave us water again while we were at the kids grove. It was really hot out there today, so we really needed it. Thanks! 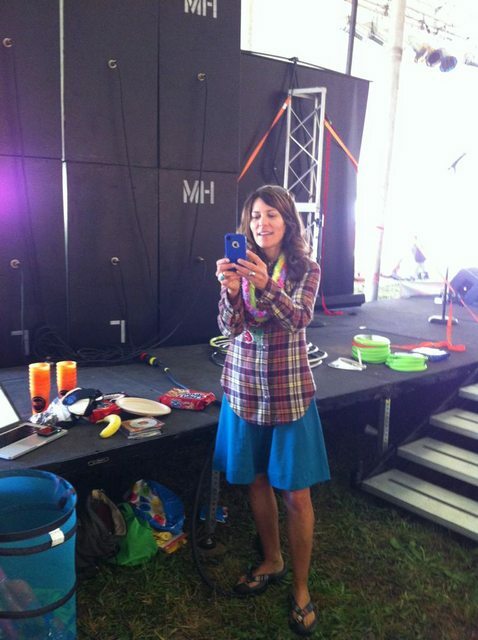 This is a picture of Lisa Landis taking a picture of Jax behind the stage at the kids tent. The kids at the kids grove today. These kids were great. 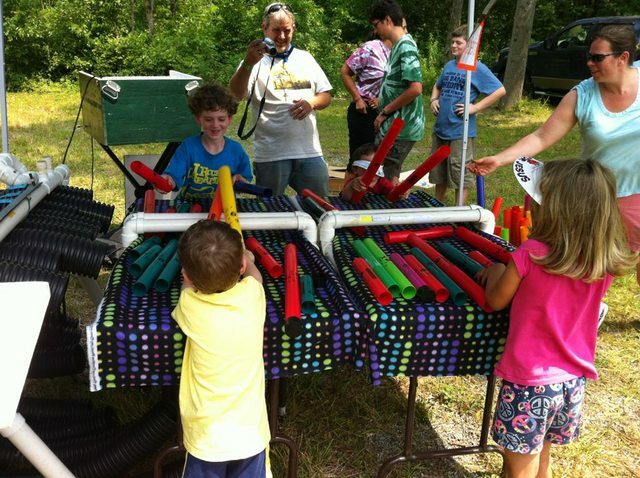 We sang songs and played boomwhackers. It was a blast! 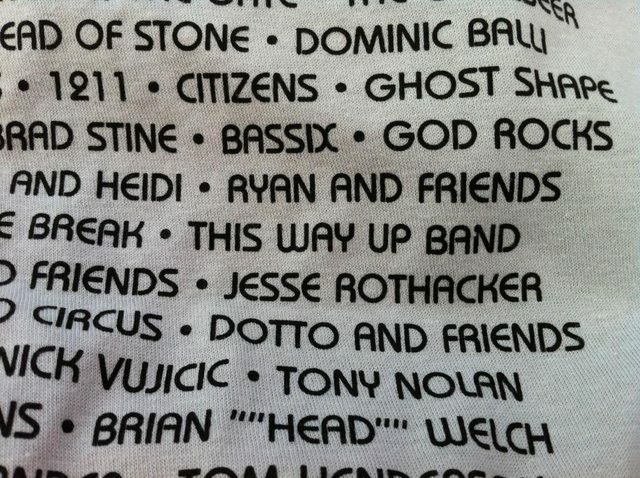 And finally, we found out that we had our band name printed on one of the official Creation 2012 T-shirts! It was really cool!